Shortly after coming into office, Superintendent Woods brought on a Fine Arts specialist -- the first person in twenty years to provide fine arts support to districts and classrooms across the state. He went on to hire an additional fine arts specialist to focus on supporting the state's growing film industry and creative economy. 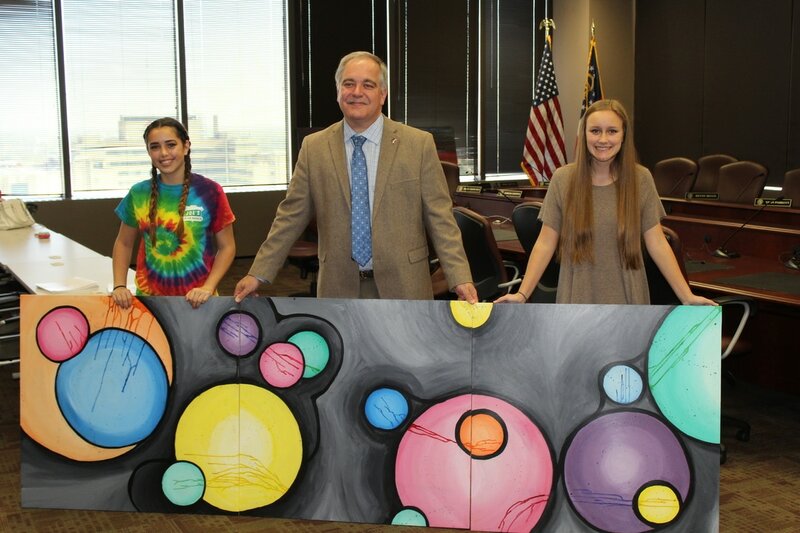 For the first time, the Georgia Department of Education is also providing a STEAM (Science, Technology, Engineering, Art, and Math) certification that will reward schools who integrate fine arts into their instruction and provide high quality fine arts opportunities for their students. 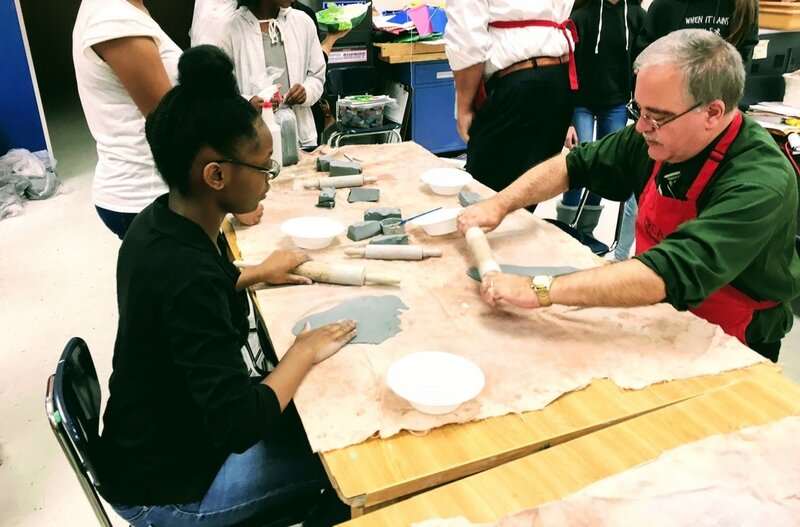 Partnering with organizations like the High Museum of Art, the Georgia Department of Education is providing professional learning opportunities to aid teachers in infusing arts across disciplines. ​The GaDOE's Georgia Virtual School (GaVS) is updating and expanding its course offerings so that every student in the state will have access to the arts. Woods also initiated a much needed update to the twenty-year-old Visual Arts and Theatre Arts standards and created an opportunity for students to earn a Fine Arts diploma seal, signaling a high school concentration in the arts. 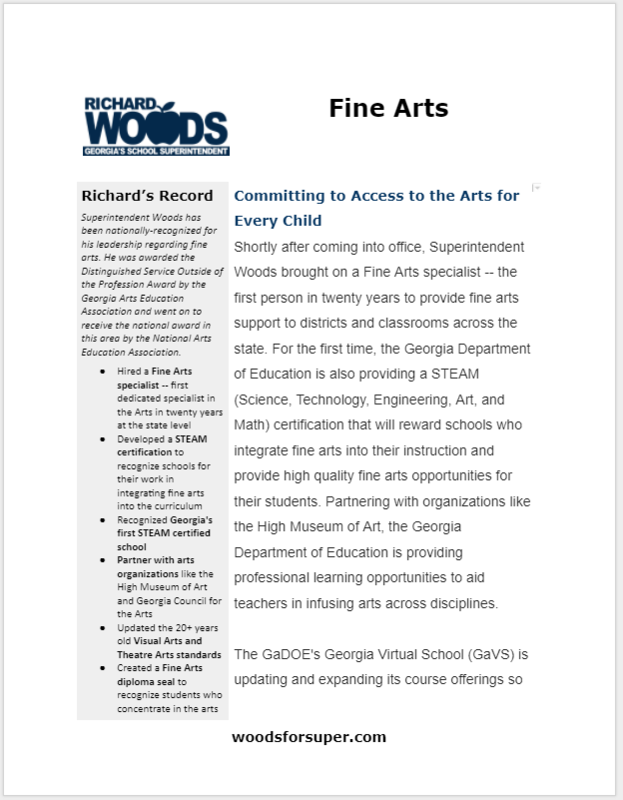 In recognition for his deep commitment to arts education, Superintendent Woods was awarded Distinguished Service Outside of the Profession Award by the Georgia Arts Education Association and went on to receive the national award in this area by the National Arts Education Association. 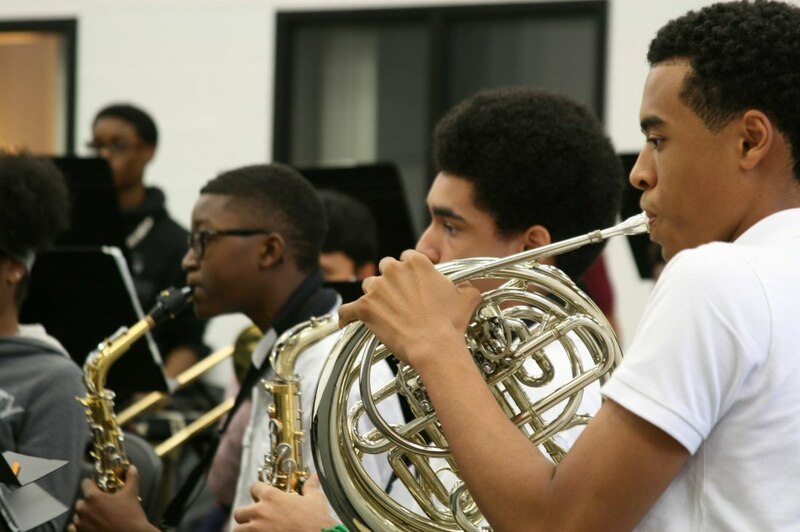 In the recently approved state Every Student Succeeds Act plan, Superintendent Woods fought for the creation of an indicator that recognized and rewarded schools for providing students with access to fine arts opportunities. Recently, Woods announced over $350,000 in grants to support expanding arts access and opportunities in rural Georgia. Superintendent Woods has been nationally-recognized for his leadership regarding fine arts. 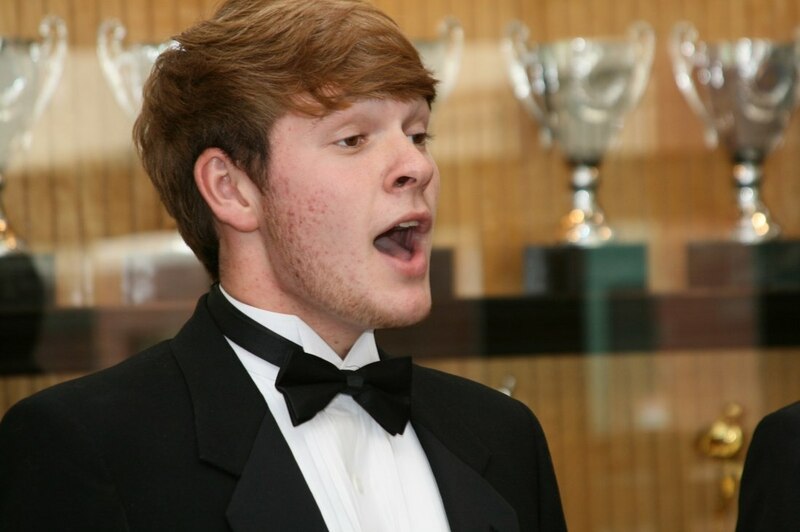 He was awarded the Distinguished Service Outside of the Profession Award by the Georgia Arts Education Association and went on to receive the national award in this area by the National Arts Education Association. Fought for a ‘Beyond the Core’ indicator to recognize and reward schools for providing students with access to fine arts opportunities. Announced over $350,000 in grants to support expanding arts access and opportunity in rural Georgia.